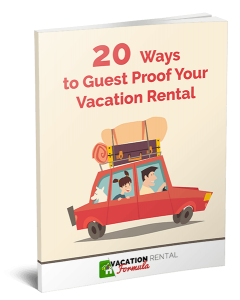 Debi’s story of buying, renovating and marketing four separate (and very different) vacation rental properties is motivating and inspiring. From a career in patient care to a rewarding business in guest care, Debi has used all her skills of understanding the needs of people to create a welcoming environment and it shows in the consistent five star reviews she receives. In this episode Debi tells us how she began her business in what she calls a haphazard way, marketing on every platform she could find, and how now she does this in a more structured way. For example, Airbnb is a strong market for some, but not all her properties and she explains why Airbnb works better for all but one of them. Debi is a strong advocate of the Airbnb style of ‘owner centric’ operating and discusses the differences in approach between them and the traditional Home Away/Flipkey listing businesses. 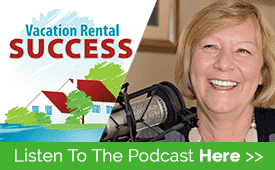 We also explore the value of finding a good housekeeper/property manager and Debi shares a great tip with me that I will be using with my own property manager very soon. The Oregon Coast is a beautiful part of the country, and Debi shares her knowledge of the area in a variety of ways including having a Vacation Insider Guide created, and exploring using Google Plus to maximize her opportunities to impact visitors. Heather, what an enjoyable dialogue you and Debi had! I so enjoyed listening to your conversation; it was incredibly informative and offered such unique insight in ways I had never thought myself (even about Airbnb!). Debi and I have messaged about a speaking engagement in Portland. I’m convinced I must go now.